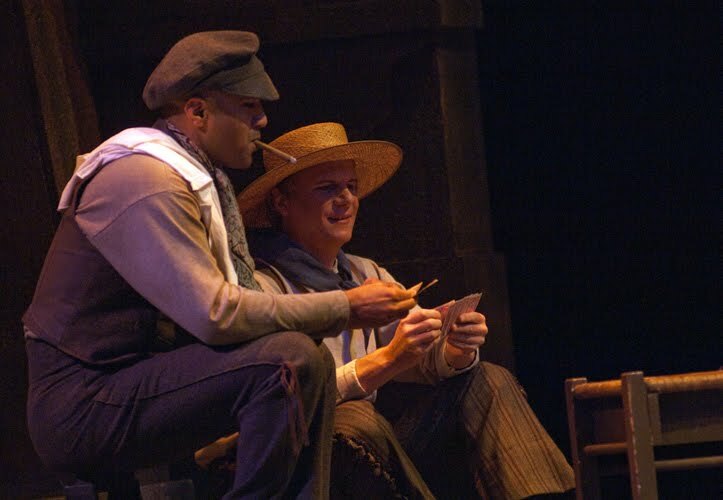 Amit Mital (left), Corporate Vice President at Microsoft by day, transforms into another identity at night, at least for the past few weeks--he's appearing as a supernumerary, or non-singing extra, in Seattle Opera's production of Carmen. 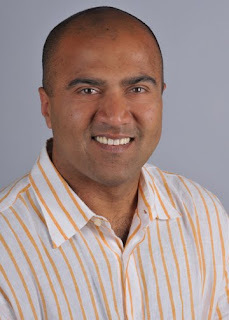 Amit has been a member of Seattle Opera's Board of Trustees since 2009 and is a veteran supernumerary. He gives us the inside scoop on the planned (and unplanned!) adventures that make being a super so rewarding. I have been a supporter of the opera for years and being a super(numerary) in Carmen has been an exhilarating experience. 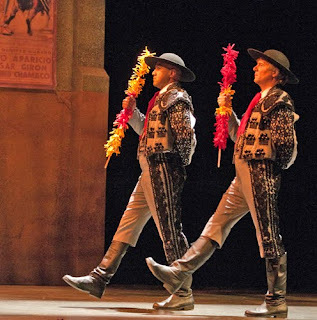 Carmen is a unique opera – timeless music, an enduring story, and many strong characters. The opera evolves during the show from a light comedy to a love story to a “soap opera” to a tragedy--all in the space of a few hours. The unexpected part of my participation has been seeing how the opera has evolved from performance to performance. Perhaps it’s the intense familiarity from the many rehearsals and performances, or getting to know many of the performers personally, or perhaps it’s the performers themselves deeply filling out their roles, but every performance has a nuance, an insight, a unique moment of unexpected beauty. 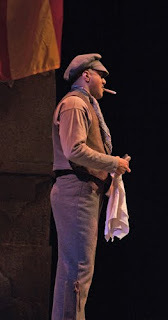 In Act 1, I play a shoeshine boy. My cohort John Smiglin plays a lemonade vendor, and we’ve lately been pushing our roles just a little. His on-stage hijinks and creative improvisation are lots of fun. The "Habenera" scene in Act 1 is really magical. That’s when Carmen first comes on stage, and her song "L’amour est un oiseau rebelle" is awesome to experience from feet away. Anita Rachvelishvili and Malgorzata Walewska both sing it beautifully – but also very differently. It’s fun to see their different interpretations of the scene – how they flirt with the soldiers, how they thrust the flower at Don Jose. Act 2 is my most involved scene. I play the proprietor of the tavern, and have a fair amount of interaction with the principals. One of them (I’m convinced) has decided to try to get me to lose my composure on stage by whispering absurdly funny comments onstage. Each performance is now a running challenge to keep a stern, businesslike demeanor while waiting for the next zinger. Last week, I had a minor wardrobe malfunction. In Act 4, the other supers and I play Picadors. We have these outstanding, elaborate costumes in which we march on stage. The other night I arrived backstage without my hat – and without enough time to retrieve it from the dressing room. In an impressive display of calm, professional quick thinking, Mike Egan, our Assistant Stage Manager, asked all Picadors to remove our hats. Fine for most of us--except John, who was experiencing a bad case of helmet head that night! Participating in Carmen “from the inside” has been an outstanding experience. The cast is extraordinarily talented and we’ve had a lot of fun working together. 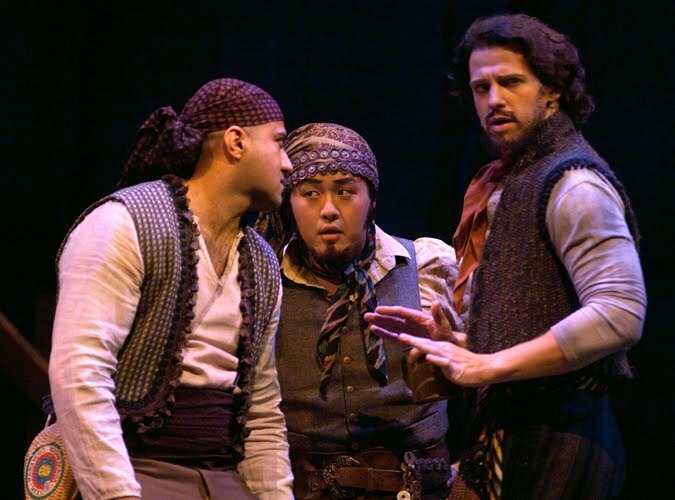 Seattle Opera has put on a truly remarkable production, and I am very grateful for the experience.